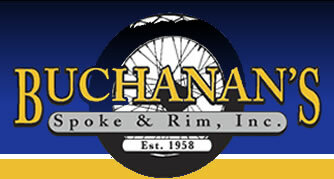 steel rims are for Harley and Performance Machine applications. 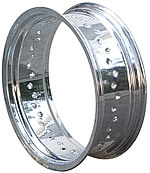 Pre-Punched chrome plated aluminum rims for Harley and Performance Machine applications. ON SALE NOW - AVAILABLE ONLY WHILE SUPPLY LASTS !!! 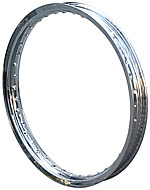 Pre-Punched chrome plated aluminum rim for Harley and Performance Machine applications. This rim is a quality manufacture over-run item that has been discontinued and will not be available after these are sold out. We got the last of them at a great price and are passing the savings on to you. Pre-drilled for 40 hole hubs. Pre-Punched chrome plated steel rims for Harley and Performance Machine applications.